Shakti Pumps has always been a pioneer in state of the art technology with their newly designed Solar Pumps sets based on its signature fabricated technology for the best efficiency and value for money. It has already been proven that Shakti Pumps has the best discharge rate, with high energy efficiency which gives 40% more discharge performance than its competitors. This technology, neither dependent on electricity nor on diesel, allows more people in remote locations to benefit from Shakti Solar Pumps. Shakti Pumps is proud to be a channel partner of Ministry of New and Renewable Energy (MNRE), Govt. of India with the highest performance rating 1A. Supreme features coupled with excellent performance have resulted in Shakti Solar Pumps making a distinctive mark in the pump market, the world over. Available in the range of 1 HP-100 HP, Shakti Solar Pumps offer 40% more discharge as compared to other ordinary pumps. Naturally, this makes our pumps the undisputed leader in the pump market. 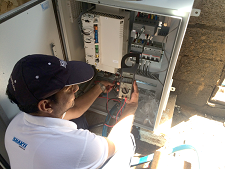 The Shakti Solar controller is a ABB German made variable speed motor drive designed in India to run a Shakti three-phase AC motor. 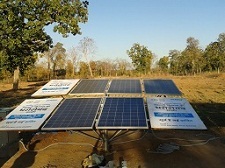 The Shakti Solar provides water to remote locations by converting high voltage, direct current from a solar array into alternating current to run a shakti AC motor. When solar power is not available, the controller can manual switch to an alternate three or single-phase AC input such as a grid or generator or inverter from battery, if available. The controller provides fault detection, motor soft start, and speed control. The Shakti Solar drive is designed with the high standard of reliability expected of Shakti products. The controller attempts to drive the pump and motor to deliver water even under adverse conditions, reducing output as necessary to protect the system components from damage, and only shutting down in extreme cases. 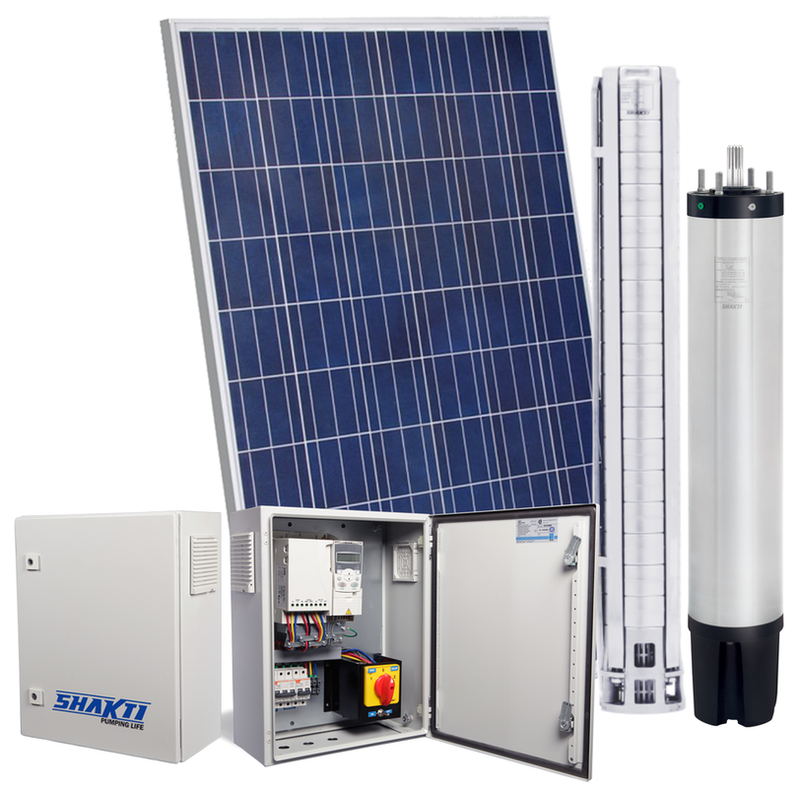 The Shakti Solar drives controller continuously monitors system performance and incorporates a number of features to allow pump system protection. In the event of a fault, the Shakti Solar drive will indicate the type of fault through the LCD displays. 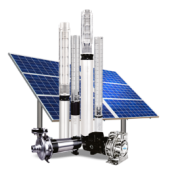 The Shakti Solar drive system is optimized for pumping under adverse input power conditions unique to solar arrays. Internal diagnostics will tolerate a lower input voltage. Whenever possible, the controller attempts to regulate the pump load in a manner that optimizes the maximum power transfer from the solar array. The drive can manually switch to AC backup power (when available) if the DC primary source is unable to support pump operation requirements. The controller construction is ruggedized for hostile environmental conditions. 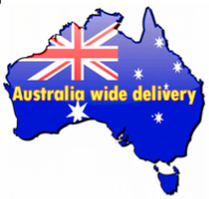 The case is constructed of heavy-gauge zinc plated steel to resist rain, animal and insect intrusion and prolonged direct exposure to sunlight. The seals are designed for NEMA 3 (IEC rating IP55), (dust tight, and withstand directed jets of water). For maximum protection against dust, there is no external cooling fan or other external moving parts.